The World Squash Federation today welcomed the decision by the International Olympic Committee (IOC) Executive Board to shortlist Squash as a potential sport to join the Olympic Programme for the 2020 Olympic Games. The IOC Executive Board, which comprises 15 IOC members including President Jacques Rogge, made its decision after receiving presentations from eight sports. The Squash presentation team included seven-time women’s world champion and world number one Nicol David, and Ramy Ashour, men’s world champion and world number one. Three films were shown in the Squash presentation, including a newly-commissioned film which captures the broadcast innovations the sport has introduced in the last few years. World Squash Federation President N Ramachandran, who led Squash’s presentation team, said: “This is a huge milestone in our quest to join the Olympic Programme and I would like to thank the Executive Board for the faith it has placed in Squash. It was fantastic to have the women’s and men’s world number ones on our presentation team, and Nicol and Ramy were passionate about what it would mean to them to have the chance to compete in the Olympic Games. It was also important that our presentation communicated the scale and breadth of innovations that Squash has introduced over the last few years, in particular in key areas such as broadcasting, and I believe we did that. 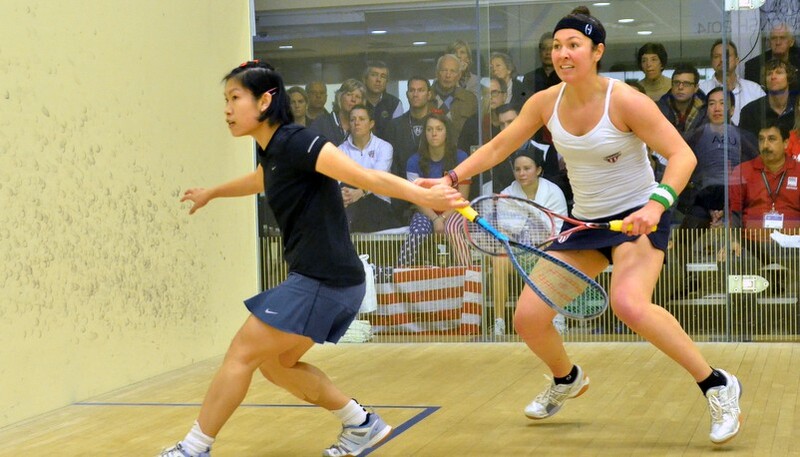 Squash is proposing a knock-out format men’s and women’s singles championships for inclusion in the Olympic Games. It would comprise 32 male and 32 female players. Squash, wrestling and baseball/softball were shortlisted by the IOC Executive Board. A final decision on which sport will join the 2020 Olympic Games will be taken by the IOC membership at its Session in Buenos Aires on September 8 2013.